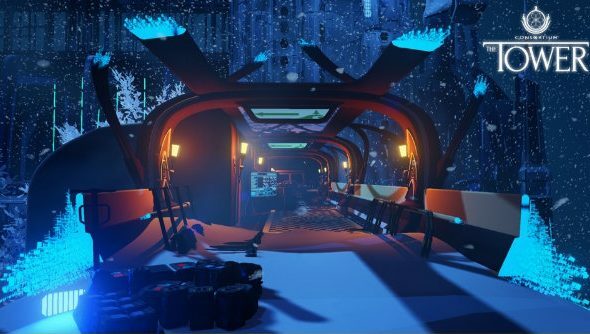 Consortium: The Tower, the ambitious sequel to the short and sweet immersive sim, Consortium, has raised over half of its crowdfunding goal on crowdfunding site Fig, which is more than it raised in its entire funding drive on Kickstarter. Consortium gives you choices and lets you use your words, but I can’t say the same for everything in our list of best FPS games. In Consortium: The Tower the world around you will continue on with or without your input. Remember in Deus Ex: Human Revolution where you’re told to hurry to the mission, but you actually just dicked around hacking you co-workers computers instead? Remember how surprised you were when you realised there were consequences to that? Consortium: The Tower will be a whole game of that, basically. Head over to the game’s Fig campaign if you think that sounds deserving of a pledge.